Everyday stress can be hard and so can being a parent, especially when you're a dance mom. It comes with the "normal" for us, quick costume changes, hairstyles, makeup and of course patience. Which I usually never have. Faking a smile can be hard. I want my daughter to look into my eyes seconds before she goes on stage and see my happiness, not the meltdown she had before going on or the built up stress I have from her meltdown and everything else. Dance for her is a dream come true and I want to be her number one fan. Brushing off stress is one of the hardest things I've mastered. But with the help of blu PLUS+ eCigs I no longer have to try so hard and my daughter has my undivided attention, worry-free and most importantly stress-free! Want to know what I love most about blu PLUS+ eCigs? Besides the fact that it helps with my stress. The improved tip, which gives a better throat hit, with a cigarette-like draw. And the larger battery is pretty awesome as well, it lasts 2x longer and charges 2x as fast as the blu PLUS+™ Rechargeable Kit battery! I also like the blu Tank System. When vaping I often find it hard to get a consistent flavor but the with the blu Tank System I get a great, consistent flavor and it's so easy to use. All you have to do is screw the pre-filled blu Tank system on your charged battery, and you're ready to go! It's that easy. The blu Tank system comes in an assortment of flavors and nicotine strengths. I look forward to trying Cherry Crush and Pina Colada. 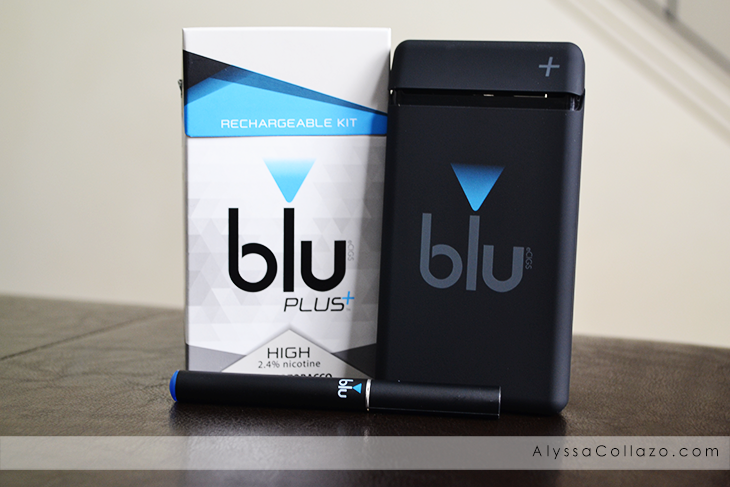 Ordering your blu PLUS+ Rechargeable Kit is simple and includes a slim, rechargeable pack, 1 blu PLUS+ wall charger, 1 blu PLUS+ USB cord, 2 rechargeable batteries (last twice as long as blu Rechargeable), Batteries "quick-charge" in the pack, 3 Classic Tobacco blu Tanks with more than twice, the capacity of blu flavor cartridges and blu offers free shipping with every order. It doesn't get easier than that. I found something that helps reduce my everyday stress and I can enjoy my blu PLUS+ eCig worry-free, anytime, anywhere and for me that's a win win. 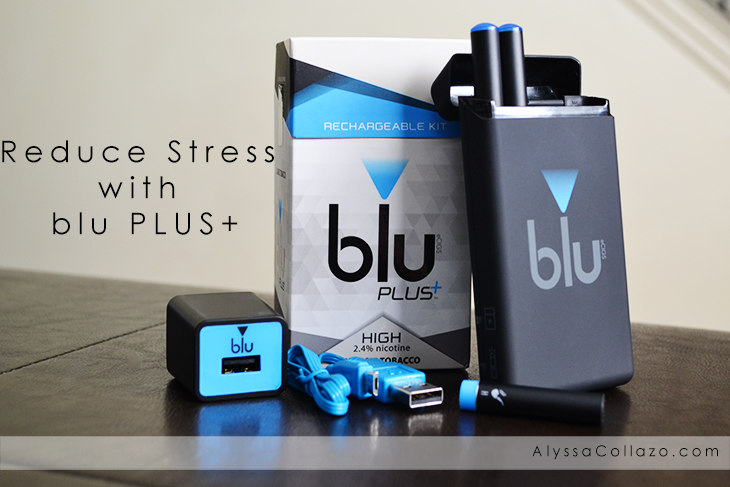 If you are looking for help reducing your stress, I would definitely give blu PLUS+ eCigs a try. It's easy to use, long lasting and rechargeable! Check out blu PLUS+ for more information. My brother is a smoker and he vapes. I am not sure if this is the same thing or not, but I will tell him about this. It's great that these are rechargeable. It's such a great alternative for smokers since it's easy to use and long lasting. Did you say they have piña colada. Can't wait to try. I have been using these as well and they really do reduce stress. I love that I can smoke anywhere at any time versus traditional cigs. Plus, no smoke smell in my clothes. It's important to find stress-reducing measures that keep us balanced and happy. I love that these cigs are rechargeable. That makes them super convenient and easy to use! This is an interesting brand, I have seen it around but never actually known anyone in my life who has tried it. 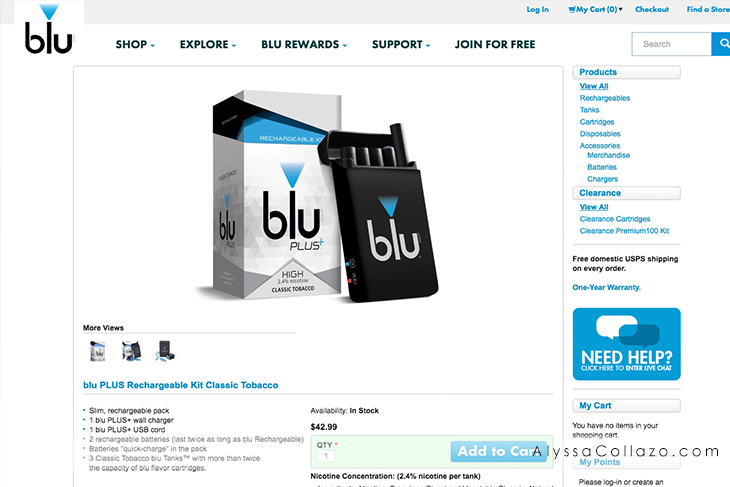 I have heard much success behind trying ecigs though and blu looks like a great option! This sounds like a really cool e-cig system. They seem to be really popular nowadays! I am a huge fan of vaping. Mainly because I am a huge critic of smoking! I hate smell8ng other people's cigarettes or walking through a cloud of smoke. This sounds like a great brand. Hopefully vaping will get even more popular as time goes on. 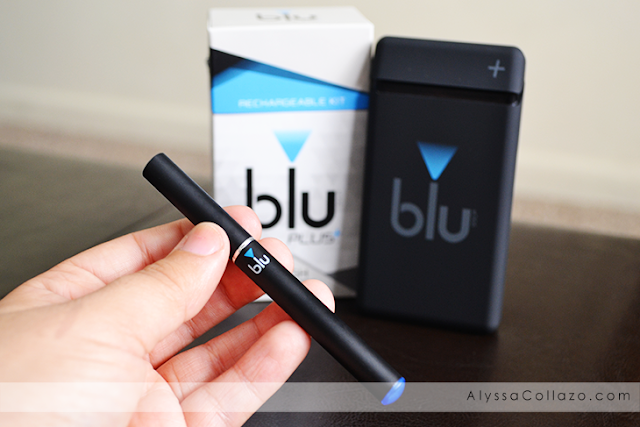 I'm not a big fan of smoking, so I like the blu PLUS+ eCigs alternative. I just got back from spending 10 days in Paris and EVERYONE smoked. I really dislike the smell so eCigs are definitely better in my opinion. Blu was good for my husband. He no longer uses it but he also no longer smokes regular cigarettes so I am happy about that. I think that eCigs can be a great way to cut down on smoking cigarettes. Plus, they are probably less unhealthy as well I would think? Anything that helps people kick smoking cigarettes is a plus in my book! There are a few people that I know that have tried these, and they liked them. They must be good. I am not a smoker, but for those who do, this is a great alternative to real cigarettes. Wow, these sound really neat. I quit a long time ago but would have tried these if I was still smoking. People are searching for alternative option for smoking. vaping is the best option for real smokers. Best E-Cigarette products actually not effect to the health. A lot of people nowadays who wants to quit smoking uses e-cigs because of the thinking that it's much safer and convenient to use. At the end of the day it's all about finding the right e-cig products who will meet your needs and standards. Just like the high standards set on http://resumes.expert, expertise at its finest. Smoking is a dangerous habit that creates trouble to smokers and non-smokers. It’s very hard to quit smoking habit instantly. You can consider buy electronic cigarettes and use to continue smoking habit in healthier way. Vapesourcing vape online store also offers you many kinds of vape devices, such as vape kits, vape mods, atomizers, cheap e-juice and so on. I recommend you this vape online shop because the vape devices are at the low price with the high quality. Finally, vgod pro kit free shipping is your best choice bring you unforgettable vaping experience. t priv 3 in stock are also the hot sell products that you must love. You should simply screw the pre-filled blu Tank framework on your charged battery, and you're prepared to go e cigarette wholesale! It's that simple. The blu Tank framework arrives in a variety of flavors and nicotine qualities.